When children are too young to behave for their dental treatment, Oral Sedation is a great option. Not all dentists can provide Oral sedation. The Texas Dental Association only issues permits to trained dentists who have met the requirements of special training. Restoring your child’s mouth to optimum health is one of our goals, but your safety is our #1 priority. It has worked for more than 18 years and has worked for countless patients who used to be apprehensive of going to the dentist. 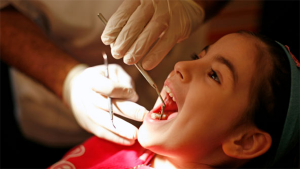 We have other dental facilities that refer their child patients to us for oral sedation and since the mothers are so content with how the dental procedure went, they stay and continue their child’s dental services with Dr. Aide R. Sanchez.